This is one of those Holy Days on which the lectionary readings are the same for all three years. So even within this blog there are several sources of ideas for this night. 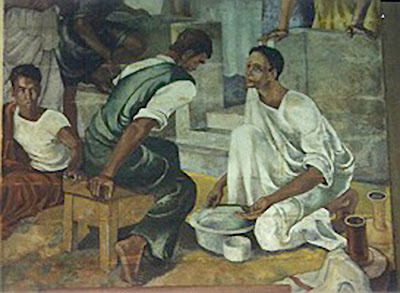 Even if you do not actually do a foot-washing service, talk about Jesus washing the disciples’ feet. You can almost see all the disciples looking at their feet, knowing that someone needs to do the washing, thinking that if they don’t make eye contact with anyone maybe it won’t be them. Then Jesus does it. He washes the feet of the people who will desert him. He even washes the feet of Judas who will turn him in and tell his enemies where to find him. 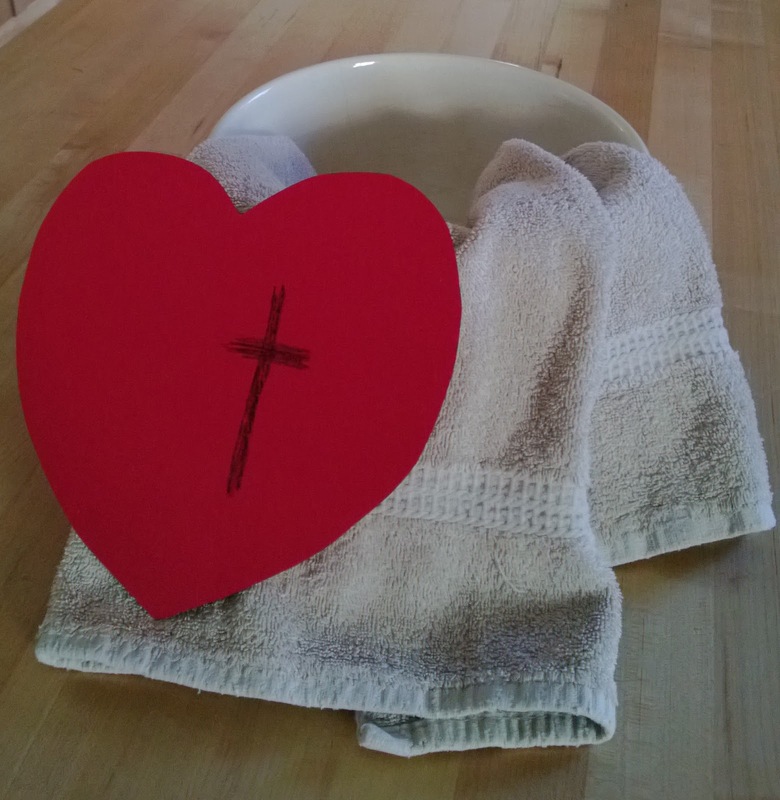 When washing feet is compared to yucky jobs that must be done every day – taking out the garbage, cleaning the cat’s litter, turning the compost pile, cleaning the bathrooms, dealing with a diaper pail – it calls children to join Jesus in practicing every day self-giving love. The first challenge is to do these jobs for people we love and who love us back. As we do we imagine doing them for someone who mistreats us and we remember that Jesus washed Judas’ feet. U After washing their feet Jesus gave the disciples and us a new rule, “Love one another as I have loved you.” How do we love one another? We wash their feet and do whatever else is needed (even the yucky jobs) to take care of them. 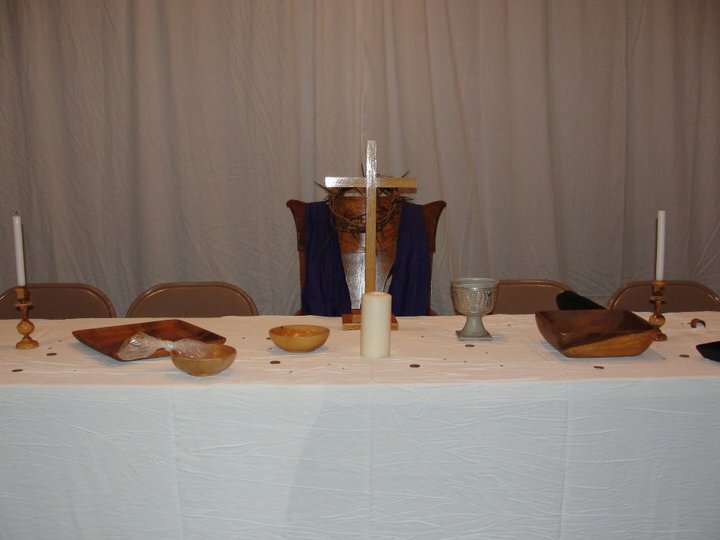 If your congregation uses the term Maundy Thursday (rather than Holy Thursday), explain the origin of Maundy in the Latin “Mandatum.” Mandatum means command or mandate. Maundy Thursday is the day Jesus gave us a new commandment. Then identify the commandment and explore its significance. U After washing the disciples’ feet and sending Judas away to do his deed, Jesus announced, “Now the Son of Man has been glorified, and God has been glorified in him.” Or, “if you want to see the glory of God, watch me wash feet. If you want to share in the glory of God, wash feet like I do.” God’s glory is not seen in people walking on red carpets or standing on championship stands. God’s glory is seen in people taking loving care of those around them – even washing their feet when needed. This definition of God’s glory is a hard sell with children and worshipers of all ages, but it closely ties God’s glory with down and dirty everyday loving. Sidebar: Peter was offended by Jesus’ offer to wash his feet. Youth and adults today understand his feelings. But, children are used to being tended in many personal ways. So, Peter’s issue isn’t their issue - yet. U If you have been displaying hearts throughout Lent, display one near the major symbols of this night. Display a towel with a large red hear lying on it. Or, place a heart on or near the loaf or cup for communion. You might even have the loaf that will be broken during communion baked in a single large heart shape. U Go to Maundy Thursday Service in the Emergent Mode to see a more informal service. The repeated “this is the night of love” throughout the liturgy is a good fit for the Lenten sacrificial love theme. Children could be included in the “lectio, reflectio, collection” readings if challenged to draw a fresh picture after they listen to the reading each time. Their pictures could be shared and discussed among the adult comments. 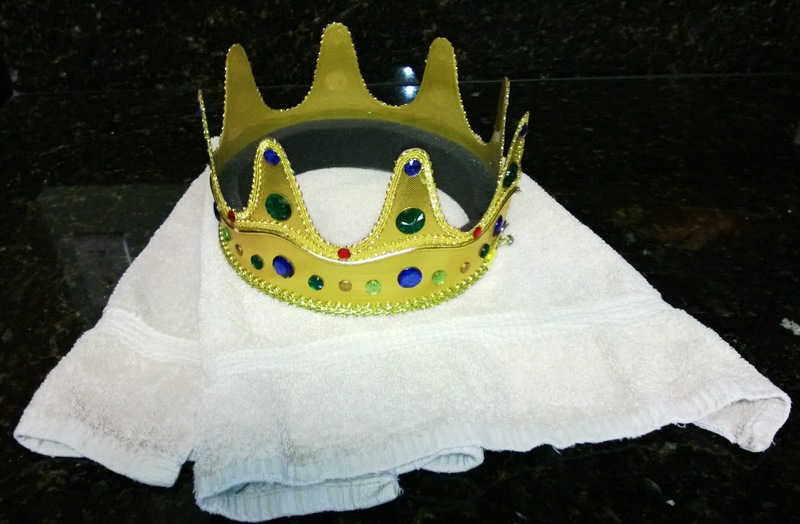 U If you must do a children’s story on this night and the focus is on foot washing, go to Children's Sermon for Maundy Thursday for a children’s story presenting a crown and a towel with a conversation about what kings do and don’t do. U “Jesu, Jesu, Fill Us With Your Love” is a hymn choice that fits the night and is familiar to many children these days.